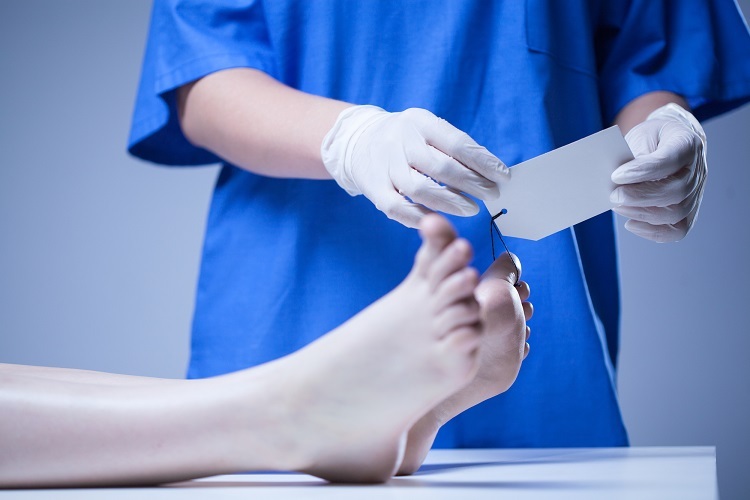 Filing Your Wrongful Death Claim Alone? You Shouldn’t. An expert Farmington wrongful death attorney won’t charge for wrongful death action until they’ve settled your claim. Doing business any other way is simply ridiculous. Facing life after losing someone to criminal homicide, medical malpractice, occupational hazards or other premises liabilities is tough. Funeral arrangements, estate settlement and planning for a rocky future devoid a household breadwinner drains one’s emotional gas tank rather quickly. You’re contemplating filing suit, but really don’t have enough strength to find a credible Farmington wrongful death attorney. But something inside tells you to forge on without an attorney. File that lawsuit, get justice and work your way through Utah’s complex court system. You tell yourself you can do it. While you’re not wrong for weighing your legal options after your loved one’s life was taken too soon, it’s difficult for individuals that aren’t familiar with civil court procedures to get claims heard in court, much less defeating someone far more educated in death suits than you. Here’s why you shouldn’t file alone. Most personal injury attorneys prefer keeping a ‘working’ relationship with defense attorneys they frequently encounter. So, instead of slamming already filed cases on a defense attorney’s desk, it’s better to send them a pre-settlement demand letter prior to filing. Think of it as two attorneys breaking bread. Details regarding the wrongful death will be discussed, figures will be traded, and so forth. Should both attorneys agree, settlement details will be forged, and court litigation is bypassed altogether. However, if the negligent party believes they’re truly innocent of this wrongful death, their counsel has no choice but to defend the suit in court. They’re paid to defend, after all. And the Farmington wrongful death attorney you retain will normally respect this process. Individuals who aren’t accustomed to exercising proper legal decorum may vitriolically phone the defense attorney, threaten to drag defendant through the cleaners then pray the attorney shakes in their boots. Sorry, but ‘shocked’ is probably the greatest reaction pro se litigants will garner during such a call. …then, one must know what they’re fighting for. Distressed families that intend to file suit know only one thing: someone needs to pay. They often care little about who’s paying, how the funds are distributed or whether someone goes broke paying them. The sentiment is you killed my spouse, and my life is quickly swirling the drain, so pay up. Courts need something more than that. Sure, they can translate someone’s nonlegal language into something that looks prettier on paper, but courts operate off direct requests. One must know how to ask courts for punitive damages, monetary and non-monetary losses, and other forms of financial relief. Addressing judges properly takes filing motions. Motions take knowledge of filing procedures and proper formatting of requests, which an experienced Farmington wrongful death attorney knows well. In other words, one cannot simply walk into court and demand someone pony up without specifying what types of financial relief they’re seeking. Finally, one must present their case convincingly. You have a handful of green grass. The judge knows it’s green, and everyone else seeing this grass agrees it’s green. However, the defendant believes this grass has a bluish hue. Although you find this assertion preposterous, you must still present the court facts that substantiate your claim that grass is green. This is often how contested wrongful death suits play out. Your Farmington wrongful death attorney knows there’s someone who passed away due to negligence. Handfuls of individuals know it was the defendant’s fault, but enough reasonable doubt was raised to force your attorney to work extra hard to prove facts everyone already knows. Not many speak legalese. That’s why attorneys, who are the bridge between the Constitution we’re protected by and the judges commissioned by the Constitution, have jobs today. Running into battle with a butter knife never worked, nor would fighting cases with up to nine-figure payouts without counsel. Remember, these cases don’t cost upfront. You’re wanting to file wrongful death action against the monster who hurt your loved one. Enough aggravating circumstances exist that favor a marginal settlement, but you’re more interested in breaking the defense’s bank account. And getting an apology. Honestly, most cases won’t settle for much without competent counsel. Defense attorneys prefer following certain rules of engagement, and in many cases, already know you’re filing before you do. Save your filing fees, Excedrin and unneeded legal research and spring for an attorney.